This time clock requires a subscription to Payclock Online. It will not work without the subscription, see plans and pricing below. Lathem's PC700 time clock supports PIN and proximity for clocking methods. Employees can use the terminal to clock in and out, transfer departments, or enter tips earned. Supervisors can use Lathem's PC700 time clock to add employees to the system, manage employees' punches, and communicate with employees from the terminal. 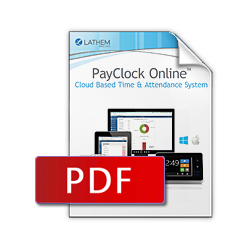 Lathem's PC700 time and attendance system automatically calculates employees' normal hours, overtime, and benefit time. Any time clock that works with Quickbooks will function basically the same way. Quickbooks itself does not actually talk to any time clocks, which means we need to have a piece of software in between to act as the middleman. In this case it would be Payclock Online. The employees punch at the time clock and those punches flow back into Payclock Online, into each employees virtual time card. The administrators will login to Payclock Online and review the employees time cards for errors & missing punches, and add in any non work time, such as Sick, Vacation, Holiday, and more. Once the administrator is satisfied with each employees time card and it is time to process payroll, they will click an Export Data button that creates a file in the format Quickbooks is looking for, and pushes the data into Quickbooks. Each type of hours and the number of hours the employee had in that period will automatically be placed into their paycheck in the Quickbooks Payroll module. No more adding up time sheets, rounding time manually, or entering time by hand. Payclock Online will do all of that for you. 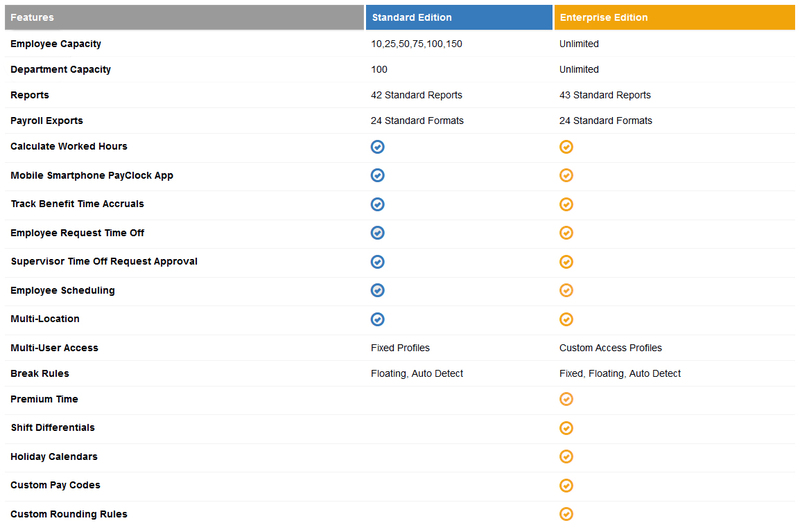 This is the same basic process for any of the exports listed above. Interested in Payclock Online? Try before you buy! Sign up for a Free 15 Day Trial, No Credit Card Required. We are absolutely thrilled with Payclock Online, between the mobile app and the inexpensive time clocks we have been able to cover all of our employees at all our locations for way less then our payroll company quoted us. I chatted with an agent who narrowed down the options for me and we settled on this one, very glad we did.